Karen is responsible for finance, accounting and HR services at Resource Innovations. 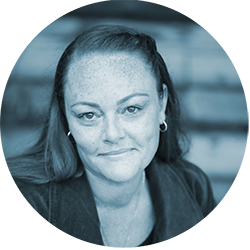 Karen creates and manages accounting, human resource and payroll processes that succinctly evolve with the needs of the company. She leverages her CPA experience and background in accounting, consulting and software to deliver financial management from bill payment to board package. Karen is both a strategic business advisor and a hands-on leader. She ensures meaningful financial assessments, budget development, forecasting and a solid foundation for Resource Innovations. Catherine has 30 years of experience in software development and IT management in mission-driven organizations, including eight years in the energy efficiency industry. During her time in the energy space, she has managed the development and deployment of more than 30 software and data analytics systems to track energy savings for more than 200 programs serving energy utilities and their customers across the country. Ashley brings ten years of experience managing energy efficiency programs and solutions, with an emphasis on residential programs in Illinois. 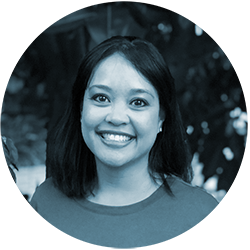 Ashley has developed and overseen a variety of program designs for multiple utilities, working closely with numerous trade ally networks, associations and key partners to support goal attainment. Ashley provides a deep understanding of energy efficiency portfolios, implementation strategies and the Illinois market. From her recent involvement in the Illinois Stakeholder Advisory Group which focused on the Future Energy Jobs Act implementation, she brings an understanding of the long-term strategy and potential for market and portfolio enhancements that will support achieving FEJA’s goals. Atticus provides the Resource Innovations team with ten years of technical and planning expertise, and energy efficiency program support in Illinois. With experience working across multiple utilities throughout the Midwest and into the Southeast regions, Atticus brings a unique perspective from supporting the operations of a variety of commercial and residential program designs. Atticus has also supported local trade ally outreach efforts on the ground in Illinois for both residential and commercial programs. Cheryl brings more than a decade of energy efficiency engineering, program and project implementation to Resource Innovations. She has worked across all aspects of program design and delivery, including planning, implementation, operations, data analytics and engineering for energy efficiency programs with a specific focus on the Midwest. She also has a deep knowledge of data, reporting and tracking requirements in and out of the energy industry. With 15 years of energy efficiency experience, Corey leads Resource Innovations’ operations in California. Her responsibilities include overseeing strategic planning for growth, executing business plans and managing clients and accounts across multiple utilities in California and the Midwest. To ensure thriving programs, Corey focuses on creating lasting community partnerships and discovering innovative ways to connect more people to energy-saving solutions. Prior to joining Resource Innovations, Corey was a Program Director at CLEAResult, leading a team of 26 people and managing 18 commercial utility programs across multiple markets. Today, Corey brings her extensive knowledge in energy efficiency financing, contracts, policy and client care to deliver exceptional results to our customers and communities. With more than 20 years of experience, Jeff is a leading consultant in energy efficiency and project implementation serving companies across the energy value chain — electric and gas utilities, equipment manufacturers, healthcare, and engineering, procurement and construction firms — on many of their key strategic and operational improvement challenges. His experience includes development, design and implementation of utility energy efficiency programs, distributed generation technologies, measurement and verification best practices, innovative technologies as well as a broad range of operational improvement and strategic energy master planning programs.